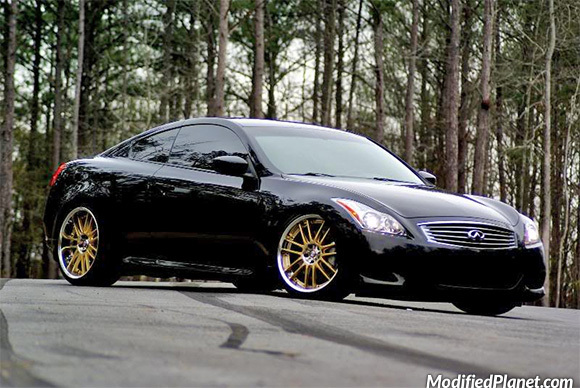 Modified 2003 Infiniti G35 Coupe lowered on a set of Eibach Pro Kit lowering springs. 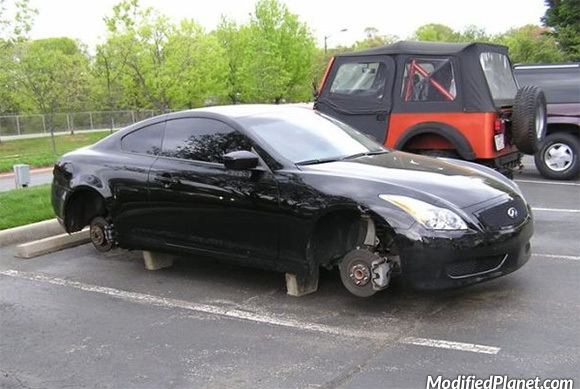 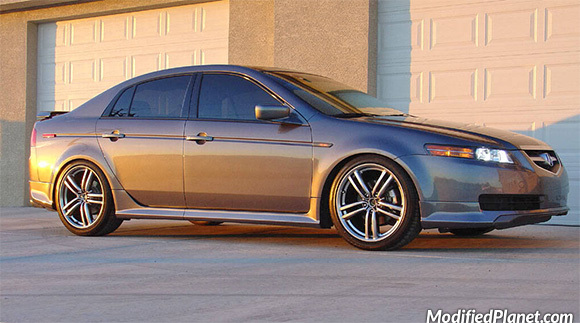 Owner of this modified 2010 Infiniti G37S coupe got his wheels stolen and the thieves let his car on cinder blocks. 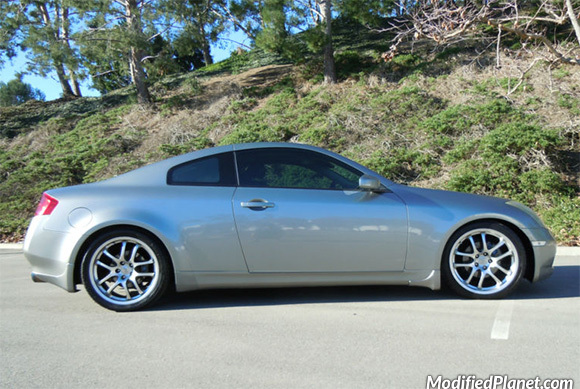 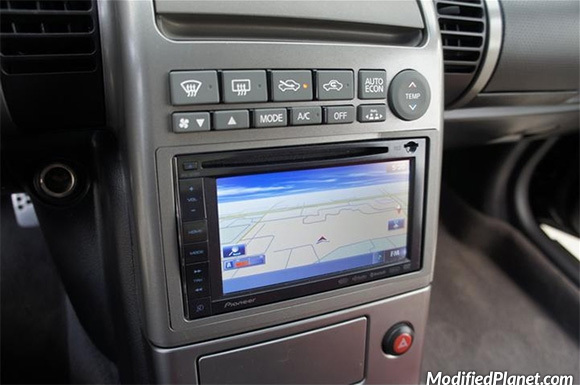 Modified 2004 Infiniti G35 coupe featuring a double din Pioneer AVIC-X920BT navigation system. 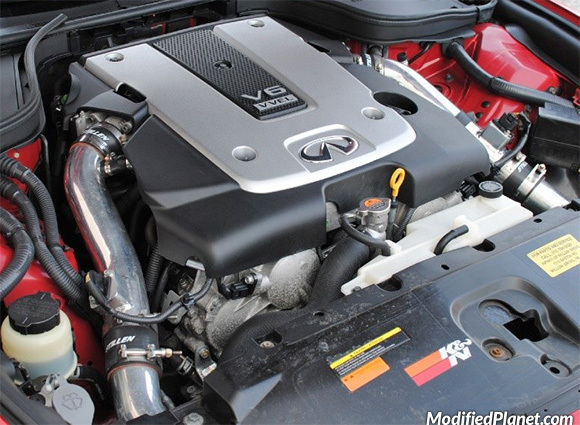 Modified 2009 Infiniti G37 Sport coupe engine bay featuring a Stillen Generation 2 cold air intake system. 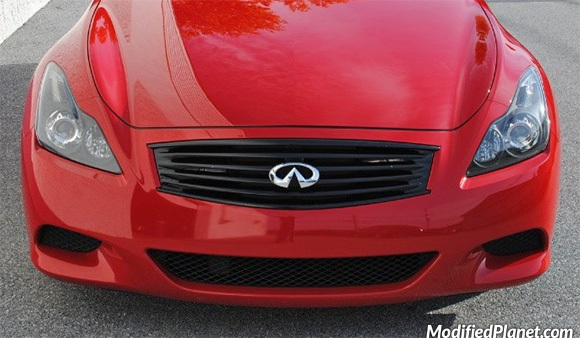 Modified 2009 Infiniti G37 Sport coupe featuring a blacked out front grill. 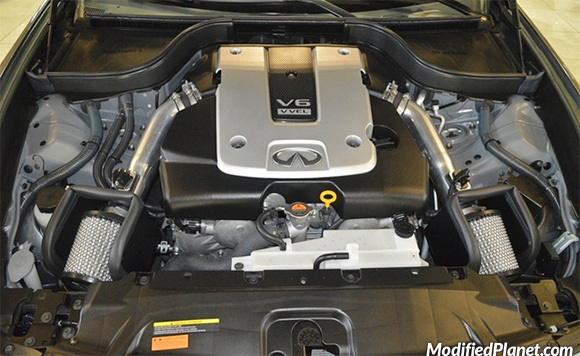 Modified 2012 Infiniti G37 Sedan engine bay featuring a R2C Performance dual air intake system.